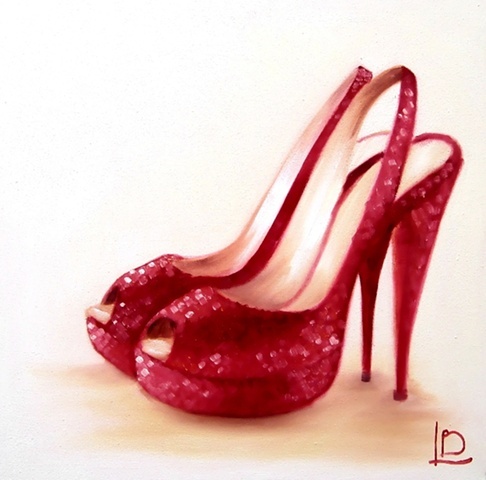 A brand new painting, this time of gorgeous pillar-box red shoes, with killer heels. The shoes themselves sparkle, and are in shades of bright red, with deep red and white contrast. They're a peep toe style- with contemporary platform soles. The background of the painting is a warm cream.